Liverpool sold Philippe Coutinho to Barcelona in the winter transfer window last year. The Brazilian international went on to win the La Liga title but now, he is no more a regular starter at the Nou Camp. Recent reports have linked Manchester United with the Samba star. Earlier this month, Caught Offside revealed that the Red Devils have contacted Barca to inquire about signing the former Inter Milan attacker. Now, as per a report covered by Mundo Deportivo yesterday, it has been claimed that the South American playmaker is tempted to join Manchester United. 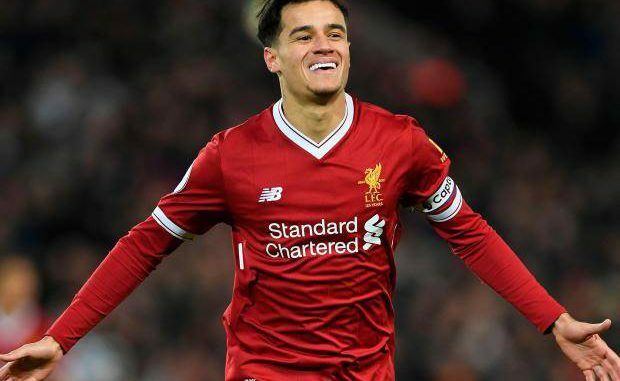 The renowned Spanish outlet have further mentioned that Coutinho wants to stay with the Catalan giants but if things do not improve for him, then leaving the Spanish champions could be a major possibility. The 26-year-old star started on the bench in the last three league games of the last month. Moreover, he started the new year with a bench role against Getafe and only featured for just 6 minutes. He did start in the last La Liga game versus Eibar and provided an assist. As far as United are concerned, Solskjaer has won 6 out of 6 games since taking over as interim manager of the club and up front, Manchester United have been brilliant. The likes of Rashford, Martial, Lingard and even Lukaku and Sanchez have stepped up under the Norwegian boss and at the moment, it does not seem that United need to sign another playmaker. Still, Coutinho is one of the most creative and versatile playmakers around, who would improve any squad in the world. So, if there is a clear opportunity to sign the £240,000-a-week man (Mirror Sport) this month, then Woodward must splash the cash and complete his signing. Have your say. Do you think, United should open the cheque-book and lure the former Liverpool star? It’s a bit like going out with your best mates girlfriend. We all know you shouldn’t go anywhere near her. But on this occasion you hit the jackpot, it’s a 100% yes for any RED UNITED FAN. He was a mid table team player always. I think United need to strengthen in other areas of the team before they make this signing.